All human cultures seem to make music - today and through history. But why they do so, why music can excite deep passions, and how we make sense of musical sound at all are questions that have, until recently, remained profoundly mysterious. 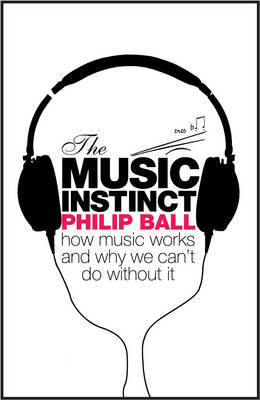 Now in "The Music Instinct" Philip Ball provides the first comprehensive, accessible survey of what is known - and what is still unknown - about how music works its magic, and why, as much as eating and sleeping, it seems indispensable to humanity. Even with what appear to be the simplest of tunes, the brain is performing some astonishing gymnastics: finding patterns and regularities, forming interpretations and expectations that create a sense of aesthetic pleasure. Without requiring any specialist knowledge of music or science, "The Music Instinct" explores how the latest research in music psychology and brain science is piecing together the puzzle of how our minds understand and respond to music. Ranging from Bach fugues to Javanese gamelan, from nursery rhymes to heavy rock, Philip Ball interweaves philosophy, mathematics, history and neurology to reveal why music moves us in so many ways. "The Music Instinct" will not only deepen your appreciation of the music you love, but will also guide you into pastures new, opening a window on music that once seemed alien, dull or daunting. And it offers a passionate plea for the importance of music in education and in everyday life, arguing that, whether we know it or not, we can all claim to be musical experts.